Do you see a window or a see-through transparent sheet of glass that almost envisages a blanket canvas before an artistic touch? Within this modern era of complex technological advances and monumental achievements you would have thought we could do something a little different…. …well we can. Over the last thousand years society has been crafting stained glass which was used predominately within religious buildings of high importance. The very first stained glass designs can still be seen within churches and cathedrals today. 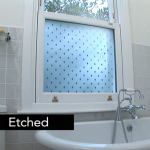 Etched Glass – Suitable for areas where a degree of privacy is required, the subtly etched glass looks understated and classic. 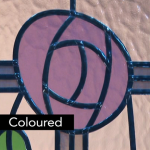 Stained Glass Overlay (coloured)- is the bonding a coloured film to a glass pane andenhancing the effect with accurate accurately applied lead work to produce a permanent decorative glass pane. 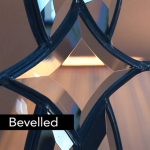 Bevelled Glass – the choice of design if you’re looking to create a classic or contemporary look. 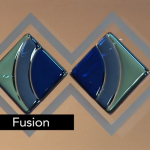 Fusion Glass – is produce in the furnace by bringing coloured glass to a molten stage and carefully mixing the colours to produce beautiful stained glass tiles. 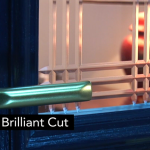 Brilliant Cut Glass -This process offers clean, crisp line to enhance any window. Brilliant cut glass panes are available in straight or simple curves in a selection of standard combinations.